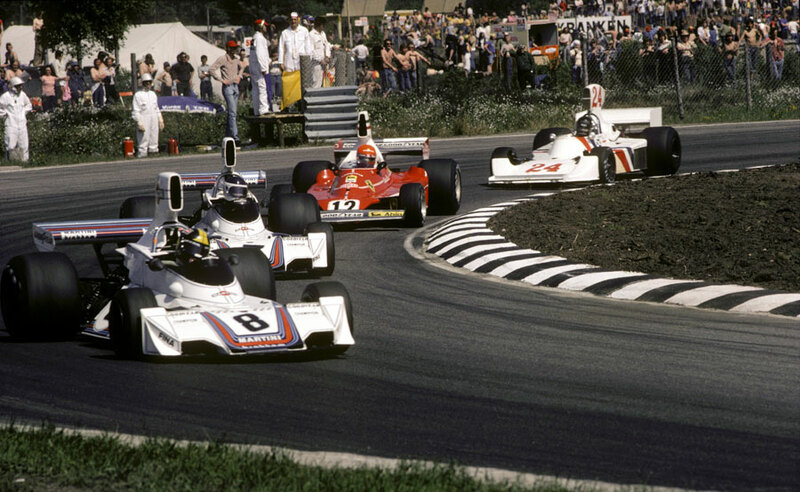 Niki Lauda recorded his third successive win of the season at the Swedish Grand Prix at the Scandinavian Raceway in Anderstorp to open up a healthy ten-point lead in the drivers' championship. Ferrari was not predicted to do well, despite Lauda's wins in Monaco and Belgium. In two previous outings at Anderstorp its cars had managed a best of sixth, and a month earlier Lauda had crashed team-mate Clay Regazzoni's car there during testing. When the Ferraris failed to impress during practice, it seemed set to be a bad weekend for the Italians. "We've tried a number of experiments, some of which have worked and some haven't," admitted team boss Luca di Montezemolo. But on race day, Lauda's expertise and astute tyre selection left experts confounded. Pole sitter Vittorio Brambilla took an early lead before suffering from blistering on his tyres, and from the 16th of the 80 laps Carlos Reutemann moved ahead. He remained there until he started to lose traction as his rear tyres wore thin, and it was then Lauda attacked. For six laps Lauda sat on Reutemann's tail, and then on the 70th lap he pounced, outbraking him at the chicane and then easing away at a rate of a second a lap through to the finish. Ferrari's remarkable weekend was completed when Regazzoni came home in third. "I would probably have won but for the throttle problems," shrugged Reutemann. There was also a good return for the two new American teams as Mario Andretti came fourth in his Parnelli-Ford while Mark Donohue finished fifth in the Citibank Penske. The happiest face, however, belonged to Embassy owner Graham Hill after his protégé Tony Brise took sixth in only his third grand prix, completing the race in fourth gear after clutch problems.